A pergola or arbor is a garden feature forming a shaded walkway, passageway or sitting area, made of vertical posts or pillars that usually support cross-beams and a sturdy open lattice, often upon which woody vines are trained. Timber pergolas on brick and stone pillars with large decorated cross-beams were a feature of gardens designed in the late 19th and early 20th centuries. Pergolas may link pavilions or extend from a building's door to an open garden feature such as an isolated terrace or pool. Freestanding pergolas, those not attached to a home or other structure, provide a sitting area that allows for breeze and light sun, but offers protection from the harsh glare of direct sunlight. Modern pergolas designed from wood rather than brick or stone pillars, are more affordable and are increasing in popularity. Generally, pergolas are either made from a weather-resistant wood, such as Western Red Cedar or, more recently, Primed and Treated Pine. Arbors and pergola's provide an entrance area to your property which can be used to add security, shade or protection from the weather. Combine an entrance pergola with your decorative fencing and gates. We have 8 common entrance pergola designs including Federation, Victorian, Californian, as shown below. Entrance pergola's can be combined with our custom timber gates to create a decorative entrance area. VICTORIAN COLONIAL WINDSOR COLLINGWOODAn Entrance pergola can be useful for many reasons such as privacy, shade, noise reduction, wind or rain shields and many more. When designing an entrance pergola it is important to design a structure that is complimentary to your home, at the same time as addressing specific requirements. A properly designed and built structure will increase the value and asthetics of your home. Choose your posts from the above, (or from the masonry menu) and match with pergola brackets and rafter designs to make your own style, or match your home! Made from primed and treated timbers, these structures are both solid and very durable! For help in designing your next pergola, gazebo or outdoor structure download our guide to building pergolas. This guide includes federation and contemporary pergola designs, rafter cut templates, brackets and collars plus a detailed step by step guide to building a pergola. Useful for tradesmen and handymen alike, this guide also includes plans, suggested materials, plus outlines general council requirements and obligations. All Day Fencing also manufacture pergolas, gazebos and outdoor structures including brushwood huts. These can be delivered in kit form or supplied and installed. 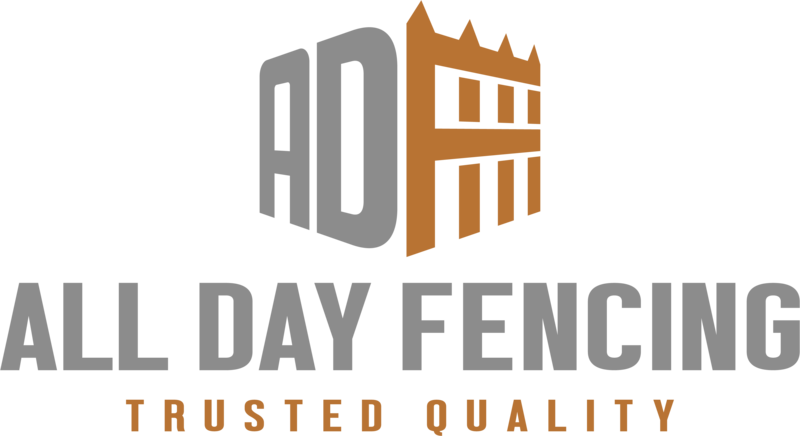 Call All Day Fencing for a no obligation quote on your pergola, gazebo or landscaping needs! Matching gates, both swing and sliding, can be made out of matching horizontal slats. Click here for more information.